Desmond is a recent graduate from the UO, who majored in Business Administration with a concentration in Entrepreneurship. He was selected as Outstanding Student in Entrepreneurship and received the Wilson Cup. During his time at the UO, he was involved with many organizations including the Cultural Forum, KWVA, and FIGS, as well as being active in the music industry both as an artist and professional. He currently works for the Portland-based music label Fresh Selects and desires to grow his career in different facets of the music industry. Aidan is a current junior at the UO studying advertising. Beyond his position with the MIC, he runs the weekly jazz music series, Fishbowl Fridays held at the UO's EMU. Aidan also plays in and manages a local Eugene band by the name of Spiller. As a current junior at the UO, Allison is pursuing a degree in Journalism with an emphasis in music. Allison is a music writer for the Los Angeles based Acentric Magazine, booking agent for SoFar Sounds, and publicity intern at Big Hassle Media. As a Southern California native, she has been able to work along side Grammy-Nominated musicians and many key figures within the industry. When not working with The MIC, Allison writes, engineers, and produces for a wide variety of artists on the West Coast, as well as working on her own music. Bobby is a current Sophomore at the UO studying Journalism and Film. He is the Programming Director for KWVA 88.1 and well as holding his own radio show. Bobby is a collegiate representative for In2une Music, a marketing and promotional company for industry professionals. When not working with The MIC, you can find Bobby playing tunes as Reggae Rob. Mariah is a current UO student who is majoring in business with a concentration in Entrepreneurship and a minor in music. She is a current radio assistant intern at Cumulus Media, the largest radio broadcasting station in the country where she has gained experience in both speech and music radio. Working with Cumulus Media has allowed Mariah to work in an environment that has opened up her chance to communicate with Warner Bros on decisions about what kind of music to implement with the station given their geographical area’s interests. 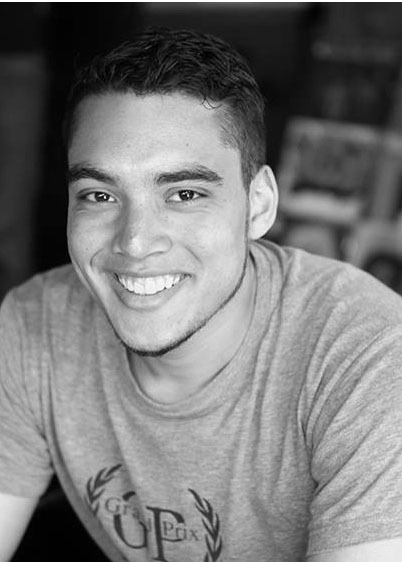 Sean is a current senior at UO studying business with an emphasis in marketing and a minor in music technology. He works at the marketing director and DJ for KWVA 88.1 and volunteers at WOW Hall. This past summer Sean worked in London at Headliner-an entertainment company. Sean has professional experience in social media, writing and marketing within the music industry. Itay is a current senior at the UO studying music technology and business. He is a current producer and engineer at Sprout City Studios where he creates and records with several artists of all genres. Itay also works with Willamette Valley Music Festival as the Music Education Coordinator. David is a current senior at the UO studying business with a focus in Finance and minor in music studies. He is a KWBA 88.1 DJ and recently interned for Portland-based music event company Mike Thrasher Presents. David's passion for music continues with his journey as a student ambassador for SoFar Sounds, organizing small, intimate concerts in Eugene, Oregon and now Amsterdam, Netherlands. In his free time, David enjoys socializing and networking as well as supporting his college football team. Sco Ducks! Nick is currently a senior at UO studying business with an emphasis in marketing and a minor in music. He works for Warner Music Group as a college marketing representative and promotes various artists in the Eugene/Campus area. When Nick isn't working you can find him hanging on his porch jamming with his friends or adventuring through the Oregon landscape.